General Information: Not easily found, or if found, not this clean and pretty as pictured. 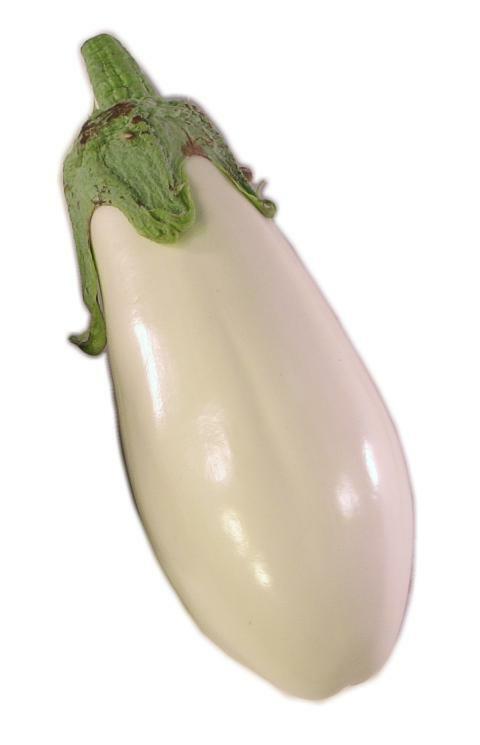 White Eggplant is grown by only a few and this makes for unpredictable availability at best. Thin-skinned with a firm, sweet (not too dry) meat make this a candidate for future growth, we hope.